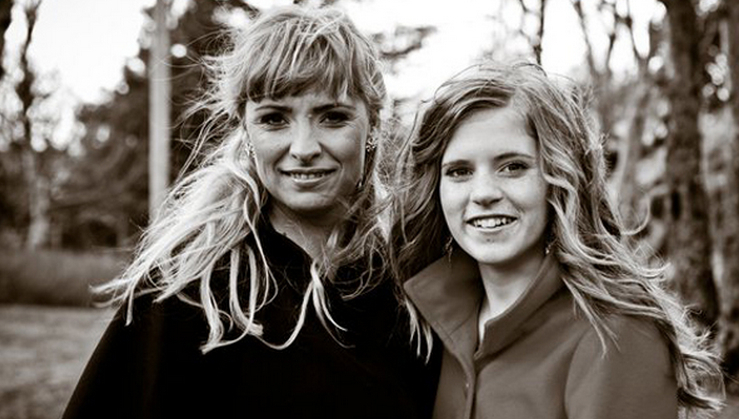 Björk Eiðsdóttir and her daughter, Blær. An exclusive interview with the two ladies aired on The Stateless Man today at 1 p.m. EST, January 28, 2013. Listen here (19 minutes). We are of course very pleased with the ruling and the fact that the judge seems to have taken our arguements into account. Blær has been smiling since the ruling but as the media asked her how she was going to celebrate her reply was: “I’m going back to class.” So you can see that despite of all the attention she keeps her feet firmly on the ground. This week we are taking the ruling to the national registry to have her name officially registered. This has taken a lot of time and we are glad it’s all over, but we are also glad that we stuck to our beliefs and didn’t back down. We were kind of expecting that the state would appeal for the Supreme court even though I doubt that the ruling would be overturned, than they would have had to take her name away again and perhaps more girls if many more will recieve the name in the next months. But the minister of domestic affairs gave the media the reply the day after the ruling, that they wouldn’t. And that the law will be revised to some extent. So Blær is already changing history! Hurray! Years ago, Björk Eiðsdóttir read a novel by Iceland’s sole Nobel Prize winner, Halldór Laxness. She found the description of one character, a young lady named “Blær,” to be beautiful, and she decided that if she were to have a daughter, she would give her that name. Then in 1997, Björk did give birth, and she followed through on her wish from the book, Brekkukotsannáll (The Fish Can Sing). That decision, however, has led to many years of unforeseen challenges, and, more recently, international attention. “The restrictions are very strange,” Björk shares. “Depending on the mood [the committee members are] in that day… They vary from name to name” and are difficult to understand or predict. Click here for the full interview (19 minutes). Just prior to the birth and unbeknownst to Björk, the committee members decided that Blær would be a masculine name. That is despite that its meaning was and remains “light breeze.” When they made the decision, they observed that three boys and only one girl had the rare name. They further justified their decision on the basis that the word, when used as a noun, was masculine. Björk dismisses that justification, though, because many other female names have originated from masculine words. Regardless, Blær believes the challenges are worth the effort, and she is glad her mother chose the name. After various strategies, Björk has now brought a court case against the naming committee, which occurred on January 21. The pair are awaiting a decision and believe they will receive a ruling by at least January 31. Besides legal challenges, the case may be creating even more problems for the naming committee. It has brought wide attention to the name and will likely lead to many more people seeking to give it to their daughters. Already, many parents have shared with Björk that they are defying the law and using “Blær,” although they use different names officially. Such pressure has already, to a limited degree, undermined these naming laws in the past. Consider that at one time, immigrants to Iceland had to change their names to fit with the Icelandic language. These days, if you are an immigrant, you can keep a foreign name. In other words, giving birth overseas (in addition to opening the door to dual citizenship) offers greater naming freedom. Björk did try something similar, since she and her daughter lived in Norway for a year. However, upon return the relevant government agency did not budge. I would like to thank Anna Andersen of The Reykjavík Grapevine for assisting with this story and both Björk and Blær for accepting the interview. Fergus Hodgson is an economic consultant, media executive, athlete, and traveler. He holds degrees in economics and political science from the United States and New Zealand, and he has lived in eight countries. Follow @FergHodgson. That interview is broadcasting right now: http://overseasradio.com/player/. The full interview is now up and available within the article. Here is the MP3 link: http://thestatelessman.com/wp-content/uploads/2013/01/Iceland-Full.mp3. Atrocious, a government would limit the choices on an artistic and private matter as your choosen name.